Let's head south to San Diego for theatres 9 & 10 of 2011. I've got to be honest, visiting the North Park and Loma theatres for the following photographs was not my first time doing so. I grew up in San Diego, and lived there until 2003. I was fortunate to be able to revisit them in 2011, and for the sake of this project, they will be included here. The North Park, located at University Ave. and 30th street in the North Park neighborhood, opened as a movie house in 1929. 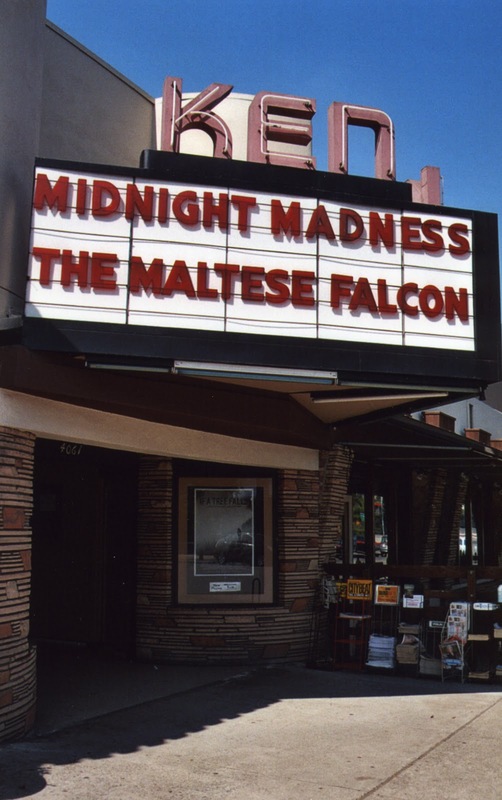 The movies ceased in 1974, and the theatre was used as a church (does anyone sense a theme here?) until 1989. 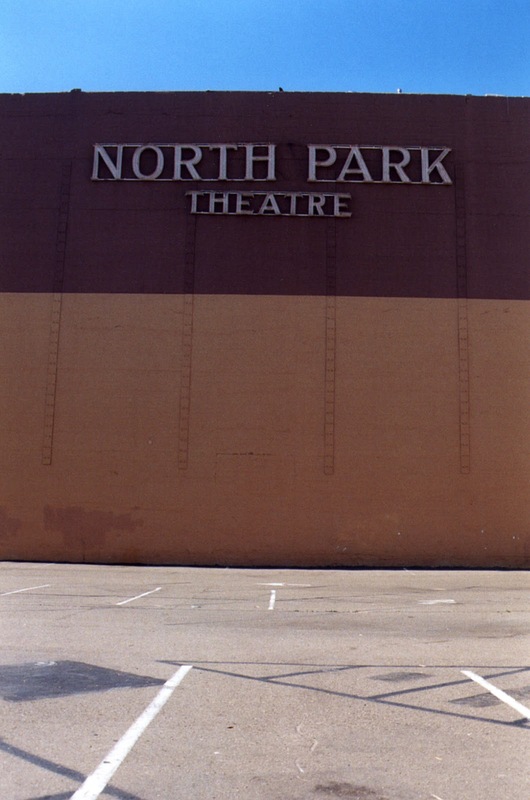 After its closure in 1989, the North Park sat empty until the early 2000s, when plans were made for the theatre to be renovated for live performance. Reopening in 2005, the Stephen and Mary Birch North Park Theatre has contributed to the ongoing revitalization of North Park. I (unfortunately) do not have any photographs of the theatre prior to its renovation. The North Park's box office is now on the east side of the building, rather than under the marquee as originally designed. The building is packed with retail space, and seating for an eatery now fills the foyer area. I love when theatres have something, anything, on the rear of the building. The North Park doesn't disappoint. This is the original signage, I'm curious to know if it lights up at night. The Loma Theatre, which opened in 1945 at 3150 Rosecrans Boulevard, was designed by renowned theatre architect S. Charles Lee. The theatre ceased operation in 1988 (remember the theatre-killing 1980s, folks?) and has been wonderfully taken care of both inside and out by longtime resident Bookstar. The Loma's breathtaking sign is still intact and is illuminated at night. 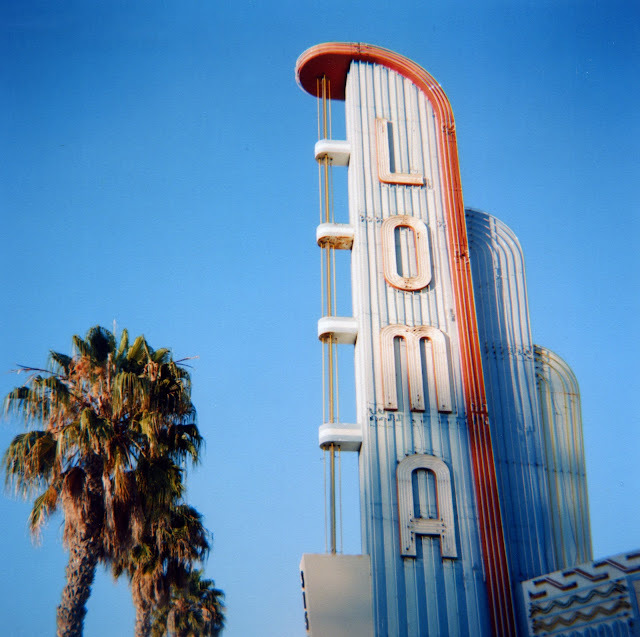 I visited the Loma right around sunset in July of 2011, with my 1950s Argoflex camera. 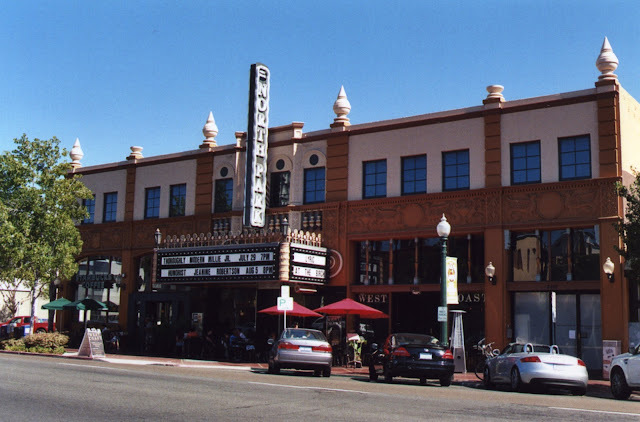 As a bonus, here's a shot of the Ken Cinema, in San Diego's Kensington neighborhood, taken the morning I visited the North Park and Loma. My favorite cinema of all time, hands down, and maintained by Landmark Theatres since 1975.Until next time! !